This is such a cute idea from Stephanie at Parenting Chaos: printable road sheets with the shapes of letters. 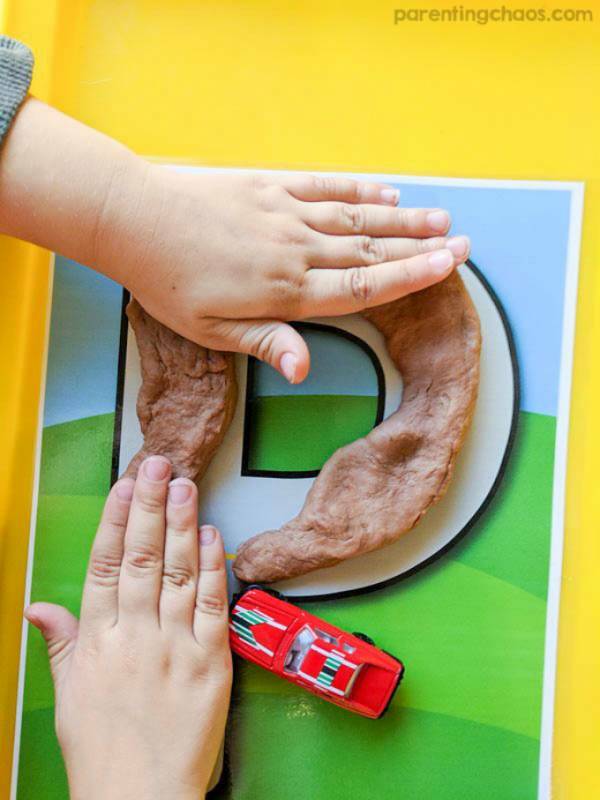 Kids can use playdough to trace the letters, drive cars or stomp animals across the roads, and all the time they are learning letter recognition and how to form the shapes of the letters without actually picking up a pencil. Stephanie has three sample letters — a, b and c in both upper and lowercase — available fore free, while the full pack of letters is $2 at her Teachers Pay Teachers site.